Please allow me to keep things very pointed this week. As I write I am fully aware that satan is alive and well. As I see things developing in Jerusalem, the attacks taking place here in America, and the struggles within churches, I am concerned. I am concerned not that satan is going to defeat us because I know that will not happen. I am concerned that people will walk right by all the confusion into a devil’s hell. They will not clearly hear the call of Christ to salvation because the call of damnation is so much more dominant. As we move ever closer to this Christmas it is imperative that we not allow the drama of various issues to drown out the glorious truths resounding at this time. Now more than ever people need to hear the angelic announcements that burst into the lives of Mary, Joseph, and the Shepherds. 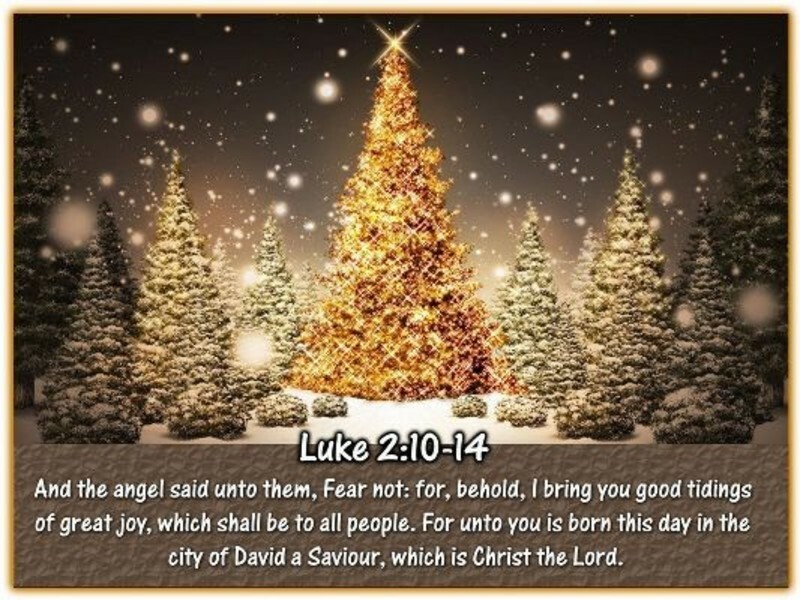 To the Shepherds, 10 But the angel said to them, "Do not be afraid; for behold, I bring you good news of great joy which will be for all the people; 11 for today in the city of David there has been born for you a Savior, who is Christ the Lord. 12 "This will be a sign for you: you will find a baby wrapped in cloths and lying in a manger." 13 And suddenly there appeared with the angel a multitude of the heavenly host praising God and saying, 14 “Glory to God in the highest, And on earth peace among men with whom He is pleased." Did you hear that? -- the holy Child shall be called the Son of God ---- He is conceived of the Holy Spirit – His name shall be called Jesus – Immanuel – which is God with us --- and Savior who is Christ the Lord. Wrapped up in that blanket in a manger was God in the flesh who came to touch the lives of all mankind. When the revelation came they each responded in submission and obedience. Should we do less? I pray this year that your heart will be touched and you will remember why we celebrate Christmas.